Let’s start with a investment portfolio of 100% Australian shares. Assuming it’s a balanced portfolio with, say 25 stocks across different sectors, you’re likely to earn a return of about 10% per year over the long term. Great right? Well… not really. The risk of that investment portfolio (measured by standard deviation of returns) is about 16% per year. That means you can expect your portfolio to go up or down by about 1% per day! That’s not so awesome. In layman’s terms, that’s like cycling down a freeway, in rush-hour, without a helmet – sounds quite scary right? Lots of risk and not much protection. It means on years when the market suffers a crash or correction, your portfolio falls by that full amount. In 2008 that was about -35%! Ouch! Now let’s say you add a second asset – bonds. This is where the benefits of diversification start to kick in. Based on a portfolio of 80% shares and 20% bonds you can expect to earn a return of about 9% per year – with risk of about 13%. 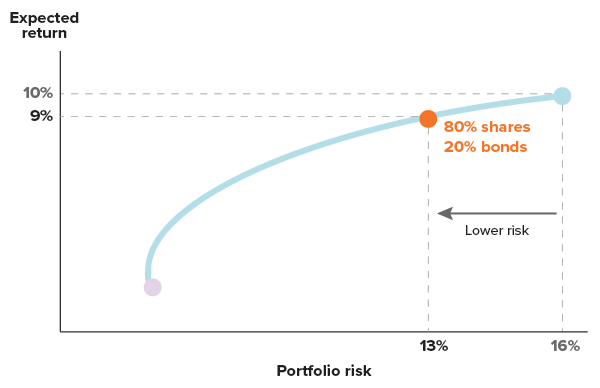 Compared to the 100% shares portfolio it means you’re sacrificing about 1% per year in returns but getting a benefit of 3% less risk! This is a more efficient investment portfolio because you take on significantly less risk and don’t need to give up much return. Revisiting our analogy, the cyclist has decided to turn off the freeway onto a designated cycle lane. It’s a little less hairy… and much less accident prone. In 2008 during the financial crisis, a portfolio of 80% shares and 20% bonds would have been down less than -25%, which is a lot better than those entirely invested in shares who lost -35% in one year! Now let’s look at the benefit of adding 3 more asset classes to Australian shares and bonds. The 3 other assets included in the Stockspot core portfolios are global shares, emerging market shares and gold. 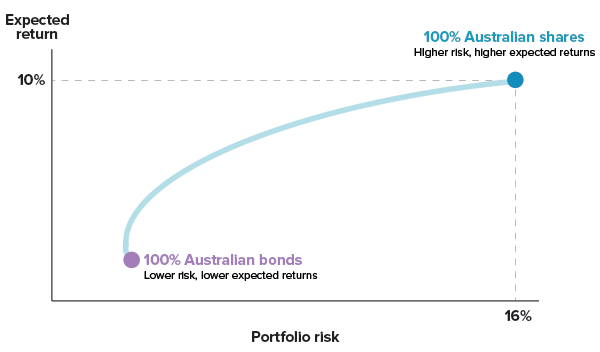 By adding these 3 assets to the investment portfolio, expected returns improve by 0.5% to 1.0% per year based on the same level of risk as portfolio of only Australian shares and bonds. Higher returns without higher risk is the magic of diversification. It’s possible because the 5 assets tend to move in different directions – this helps to smooth the portfolio peaks and troughs. Now our cyclist is happily cruising along the cycle lane, has picked up a quality helmet, a high-vis vest AND a set of lights – clever cyclist. The point is, you can never eliminate risk from your investment portfolio, but diversification adds safety and reduces the risk of a ‘portfolio fatality’. Beyond the 5 assets it is difficult to improve a portfolio further especially when you incorporate transaction costs. Our analysis suggests that adding more assets could increase returns by a small amount per year, but the benefit would be eroded entirely by the additional transaction costs needed to periodically rebalance those additional investments. We believe that the 5 asset Stockspot core portfolios offer the best possible balance of risk, reward and cost for our clients. We recently published the 4-year performance of the portfolios and it’s clear they provide a much smoother path than just owning Australian shares. We continue to research other asset classes that could be added in a low-cost way to improve the quality of returns in our core portfolios. For clients who invest more than $50,000, we now also offer a selection of investment themes which can be added for additional diversification benefits. Stockspot accounts can be as small at $2,000, which doesn’t always provide enough cash for a meaningful exposure to the 5 asset classes. Therefore for small accounts we use a process of gradual optimisation to add ETFs that best match the expected performance of the target portfolio allocation while minimising the “drag” from any uninvested cash. 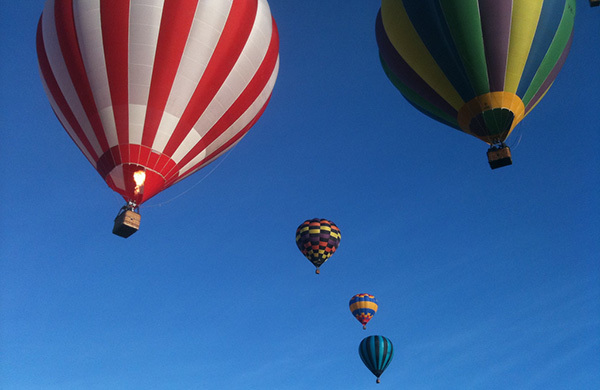 This process typically results in portfolios with a smaller number of asset classes, but similar historical performance to the target core portfolio. As these accounts grow in size they automatically transition towards our typical 5 asset portfolio allocations. 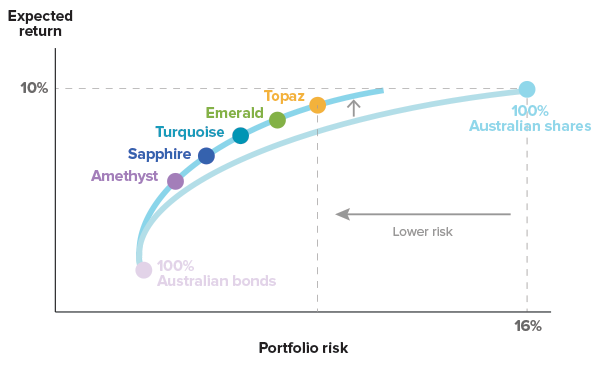 What is your risk profile and how does it help you invest? Property or shares? Where should you invest? This article was originally posted in June 2016 and has been re-published in November 2018.